Customer Service tools are highly valued by today's most effective leaders. Quality service tools help to ensure a strong service environment based on client trust. When you get right down to it, Customer Service is all about TRUST. Customers do business with you because they trust that you will treat them fairly and with courtesy; you will be timely and accurate - and that you will do every thing possible to resolve any situation with honor and integrity. Every employee must be committed to protect and preserve the client's trust. "I don't know what your destiny will be, but one thing I know: The ones among you who will be really happy are those who have sought and found how to serve." Customers do business with you because they trust that you will treat them fairly, with courtesy, and that you will do every thing possible to resolve any situation with honor and integrity. As the old saying goes, which still rings true today - "Trust is sacred." Customer trust should always be top of mind. "YES MR(s). CUSTOMER, I CAN HELP YOU WITH THAT." If your customers aren't consistently delivering this message during every customer service encounter, then you can benefit greatly by reviewing our various tools and resources. So let’s get to work! Think about your best service employee. Isn’t she also about the happiest person on the planet? Basically, people who excel at servicing others 'like' people and find joy in helping them. They aren’t the sort of folks that walk around with a snarl on their face or a chip on their shoulder. They are just really pleasant individuals. Good service employees are essential to any business. They promote teamwork and are consistent in their service delivery and overall attitude. Customers call in or send notes of appreciation to you on behalf of these employees. Does this all ring true in your organization? Hire as many of these people as possible! Good service employees are literally worth their weight in gold. Inspirational sayings and quotes help to support service messages. Read insightful articles on business management best practices. As a leader, you have certain expectations of your customer service personnel. Consistently having a positive customer service attitude must be one of those expectations. No one will argue that customer satisfaction and retention is strongly based on a consistently positive customer service experience. 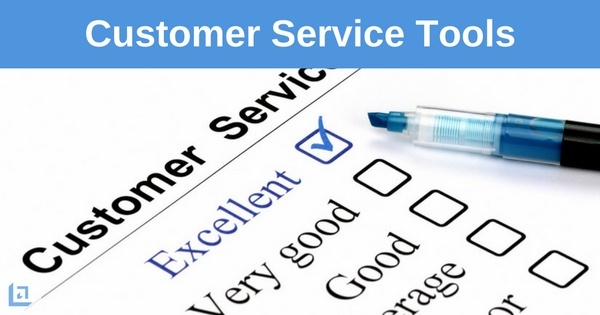 Who benefits from great customer service delivery? Everyone! The customer wins, the employee wins and the company wins. "If a man be gloomy let him keep to himself. No one has the right to go croaking about society, or what is worse, looking as if he stifled grief." Quality tools and resources provide the means for you to keep your customer service environment strong and fresh. Anyone can roll out a customer service program. But it takes a strong customer service leader who utilizes great tools, to create and maintain a great customer service culture. 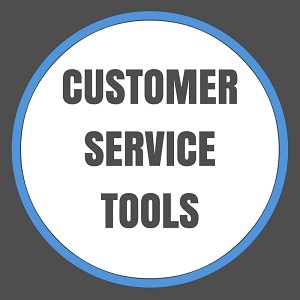 We will continue to be on the lookout for additional 'Ready to Use' customer service tools. Check back here often; subscribe to our monthly newsletter; follow our Blog or social media sites to ensure you receive all the new customer service tools and tips. In the meantime, we want to know what kind of customer related tools you would like to see available on our site. Tell us what your top customer service issues are. What's keeping you from scoring high on customer service surveys? What do you think you need in order to overcome these issues? Let us know your thoughts.